She was someone that you would love not only as a friend but a sister,I learn to love her as a big sister I will miss her so much. God picked a lovely flower from the garden of life their was only one Claire Lyons someone that will always be in my heart l will miss her so much,but I know God love her to that why he don’t want her to suffer any more love you Claire. Sending our condolences and thoughts to the whole family in Gallatin. They were a wonderful couple. May they Reat In Peace. Michael, Rick, Lisa and Donna Amos. So hard to believe that you are gone, Claire. You were a great sister-in-law and a wonderful friend. Enjoyed our talks. Heaven will be well entertained now. I know that you missed Gary too much and wanted to be reunited with him. Rest in peace my dear. Claire was a giving lady that was always doing things for others . She was loved by everyone that met her . She was also such a hard worker . She was such a sweet and beautiful friend . I’m so blessed to have had her in my life for several years . Prayers for her family at this difficult time. We are so very sorry for your loss. So much, in such a short time. You didn’t have to spend alot of time with your Mom & Dad to know they loved each other dearly. Your Mom was so beautiful. We always thought she looked like a movie star. It was sometimes years in between visits home but she never changed. Beautiful inside and out. You will be in our thoughts and prayers in the days ahead. Claire was a beautiful person inside and out .i was so blessed to have been her friend.I have so many beautiful memories of her. I will miss her so much.I loved this lady. I always remember as a child I thought Aunt Claire was the most beautiful woman in the world. In reality you can’t project what you haven’t got. She was a beautiful soul and had her heart in the right place, in the bosum of our Lord and Saviour. 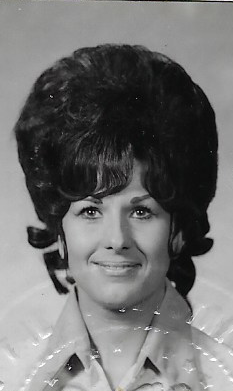 She always had great hair, just one of those things. The happiest times as a child was when we hooked up the camper to the wagon in Saint John, New Brunswick and headed out on an adventure to visit Aunt Claire, Uncle Gary and the cousins. Chasing the Bluegrass festivals around the Midwest was so much fun. …Happy times, good experiences and great memories. I am very thankful that I had the likes of Uncle Gary and Aunt Claire praying for me growing up. Love can be a fleeting thing or a foundation to build upon. Thank you for helping to build foundations in the people around you. On behalf of Cynthia, Suzanne Krista and myself we send out Deepest Condolences. Deborah, Denise and Darin the times that you spent with your dear mother Margaret will always be precious to you. Nothing are no one can take those memories from you. But when we lose someone so dear to us like Claire was, its only natural for us to long to see her again. Jesus was faced with this issue when he was here on the earth. Ones would come to him concern about there love ones who had fallen asleep in death. He could have assured them that they were in a better place, but no he did more than that. He cried out with a loud voice. Lazarus come out. The man who was taken in death was return to his family by Jesus resurrection of him ( John 11:42,43 ). Wouldn’t we ask Jesus to do the same for our love ones we lost in death ( John 5:28,29 ). We truly hope these promises by our Creator Almighty God brings comfort to your family in your time of mourning. Sincere condolences from Uncle Robins family. Debbie, Denise, Darin, and family, I am so sorry for the loss of both Gary and Claire. They lived life to the fullest and loved their family. I’m so glad Claire is now back by Gary’s side where she needs to be. All my love. I am sorry for your loss. May your memories strengthen the family during this time. Beautiful memories are silently kept of an Aunt I truly Loved and will never forget. they will carry on through my life and the lives of those you have touched. You surly have touched my life in so many ways you may have never known. Aunt Claire was a special lady. She brought a special light and passion to everything she did. We so enjoyed seeing her when she visited New Brunswick. We are saddened that we never got down to Nashville to visit Claire & Gary, as we were living out West when our NB siblings went to visit them. Our hearts go out to our cousins and their families. We take a small measure of peace that Claire & Gary (who passed in Feb 2019) are together again.